for their vision and contribution. 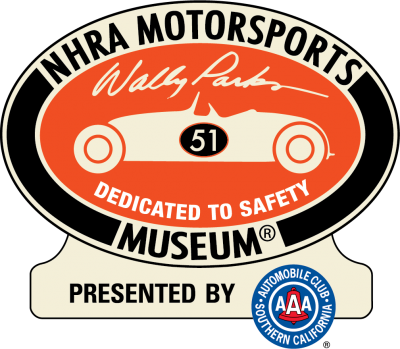 The Winners Circle is a group of individuals who support the mission and vision of the NHRA Motorsports Museum. They contribute to the non-profit through financial support and some members also contribute as mentors in an advisory capacity to help guide and shape the museum, programming, educational outreach including our 2020 STEAM programming, and lectures and special fundraisers and programs. Please join the Winners Circle and support Hot Rod History and help mentor and support the next generation of hot rod innovators, designer, engineers, developers, technicians, and enthusiasts. Individuals may become part of the Winners Circle at the Patron level for an initial gift of $1000, with annual renewing gifts of $1000. Supporting level at $2500 and Sustaining level at $5000 and up. The generous support of our Winners Circle helps the Museum’s efforts to collect, preserve, interpret and exhibit the vehicles, artifacts, and stories that represent our passion for and the influence of motorsports in American culture. aharris@nhra.com or call 909-622-3389 for more information.